Mike lives on Brick Lane and grew up in Harrow, but his parents came from Mauritius and their parents were from Guangzhou in South China – so he has a vivid personal relationship to his subject. “When I was tidying up my childhood room, I found all these old photos but I didn’t know the stories and, when I showed them to my parents, it unlocked memories that they had not spoken of in years,” Mike explained, revealing the origin of his ongoing project to document the lives of British Chinese people, from which I publish this East End selection. 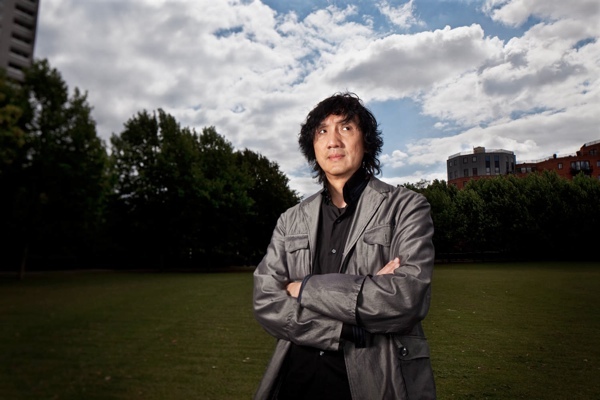 “I was born in Hong Kong and came to the United Kingdom when I was three years old. My mother’s family grew up as subsistence farmers in a village called Lai Chi Wo near the border of China. My grandfather was in the Merchant Navy and he landed in England, which is how we came to be here. He saved up enough money while he was travelling to open up a restaurant in Cumbria. At first, he would send money back to my mother in Lai Chi Wo but eventually she came over to join him. If you have ever been to the museum in Hong Kong with a traditional Hakka village rebuilt, it’s pretty much what ours is like – with walls on the outside and in the way people would dress. When I went back there last year, I had a chance to walk around the hills in the village. It is still what my parents saw when they were young. Because I’ve always lived in cities, it was a very big step just to imagine the way they used to live. Every ten years in the village, there’s a get-together where everyone who’s overseas returns. There’s traditional dancing to celebrate people who’ve spread out all over the world but who have come back to the village to remember their heritage. My mother bumped into someone who she used to know when she was younger. It was amazing to see, and it gave me a stronger sense of identity. “I’ve lived in London my whole life. 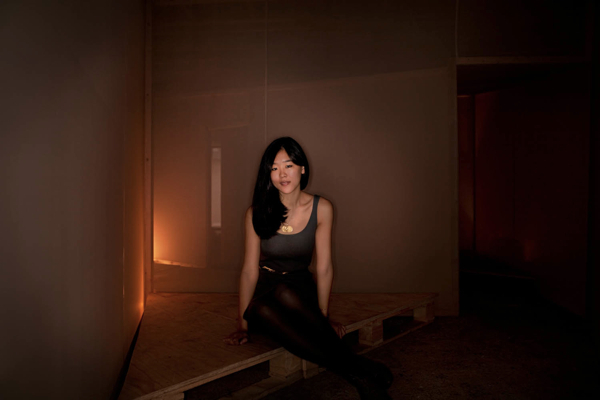 I’m an artist and architectural designer and I’ve just set up my practice, Atelier ChanChan. My mother’s father grew up as a peasant and became a precious metal carrier between provinces, so he was quite a tough guy but he was completely uneducated. They moved to Hong Kong and, when it became occupied by the Japanese, they hoarded as much currency as possible because at the time it was worth absolutely nothing. When the Japanese left, they made millions and started their own bank. My grandma was my grandfather’s third wife, so on my mum’s side I have a massive family. 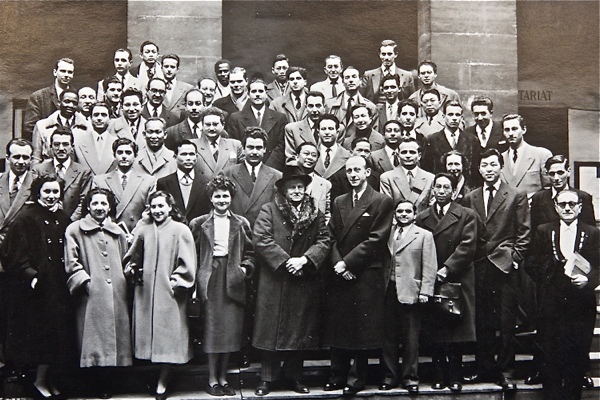 Zoe Chan’s grandfather at the centre of his graduating class at the Institut des Hautes Etudes Internationales in Paris in 1953. On my dad’s side, my great-grandfather was a judge in the Qing dynasty but, when the whole regime changed after the revolution, he became a lawyer in Shanghai. My grandfather followed in his footsteps and became a lawyer too but, when the regime changed, he moved to Paris and got his doctorate in International Law. From there he became a businessman and also went into property. When he started making a lot of money he sent all his kids – my father and my aunts and uncles – to a British school in Madrid, then from there they went to school in England because the education was better. 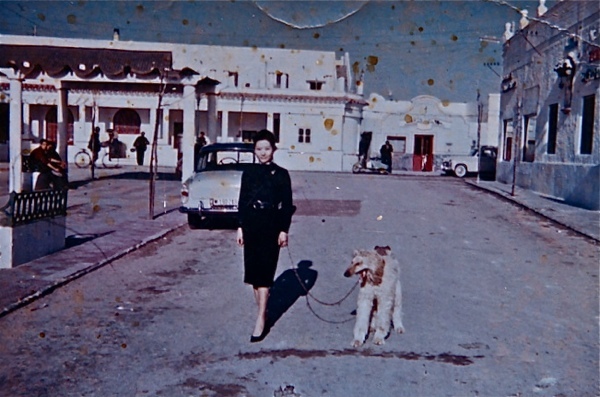 Zoe Chan’s grandmother with Kiki the Afghan. “I was born in London, then was brought up in Singapore, but I came back here to study and have lived here ever since. 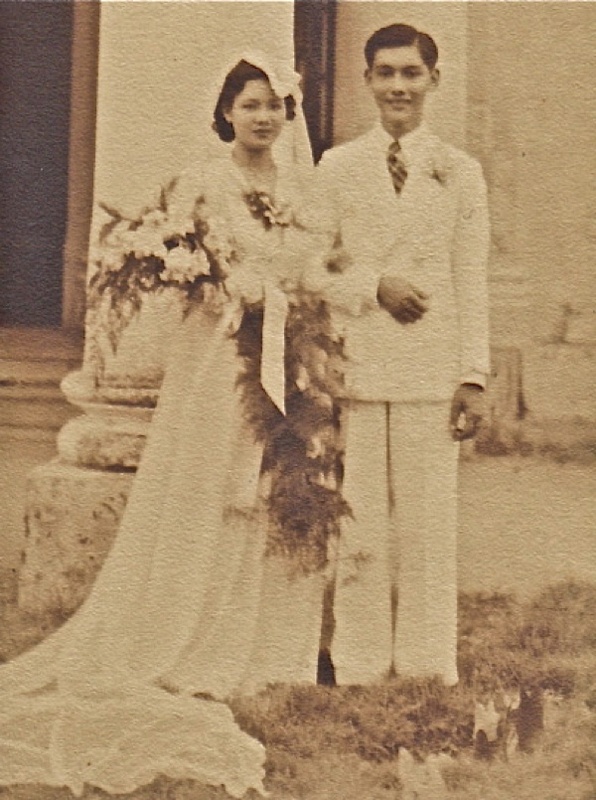 My great-grandparents on my dad’s side came to Penang, in Malaysia, from a village in Fujian. My paternal grandmother was Hakka, from British Guyana, and there is a very interesting story about how she met my grandfather. Her family were moneylenders and her parents used to keep her wealth in gold ingots in a safe. Grandmother was a pretty rebellious spirit. One night, she managed to get hold of the key to the safe by snipping the necklace that the key was attached to as great-grandma was asleep. She took one gold ingot and used it to flee British Guyana for London, where she met my grandfather who was studying at Cambridge. My mum’s adoptive mother was a nurse and adopted her two girls from destitute families. Mum’s parents were supposedly also Fujianese emigrants, but she could never find them. Mum was the first generation of girls that were educated in Penang and she became a teacher. My great-grandparents were very keen on education and I think this has been passed down the family, as most of my paternal aunts and uncles have had some sort of university education. The wedding of Hi Ching’s mother and father in Penang in 1944. My parents were brought up in strikingly different households. One was affluent and influential and the other was humble and grass roots. They didn’t get on! So when I was around two, as soon as mum had got her degree, she upped and left home. She drove all the way from Penang to Singapore on her own with me. This journey was very difficult in those days. I would consider her extremely brave to have done what she did. When she arrived in Singapore, she got a job and met my step-dad who married her. He was a doctor and Queen’s Scholar, a socialist, and set up his clinic in the poorest part of Singapore, called Rakyat Clinic – the People’s Clinic. “I’m originally from Yorkshire but now I live in London and work as a lawyer. Both my parents are from Guangdong in Southern China. They are from small, rural villages and their families were involved in subsistence farming and fishing – pretty poor backgrounds. My dad came to England in the sixties after a stint at Hong Kong airport as an aircraft fitter, just as Mao’s cultural revolution was getting going. He came to Britain to work as a waiter in takeaways and restaurants, starting off in London, then Edinburgh, Scarborough, Leeds and finally settled in York where he eventually started his own takeaway – our small family business. My mum joined him a bit later on. She’s from a big family with lots of brothers and sisters. She came to join my dad and they started the shop and that was going for about twenty-five years until they retired in 2006. 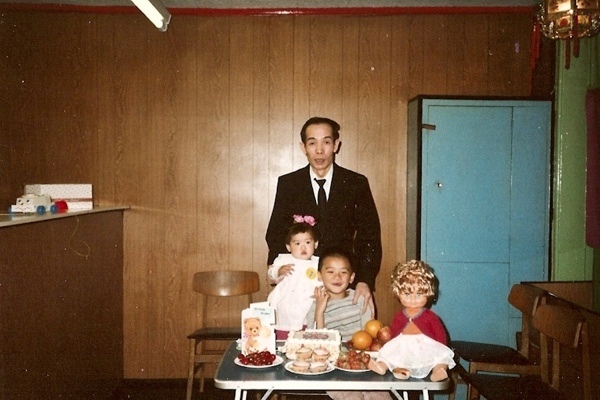 Alan Mak, as a child, celebrating a birthday with his father and sister Lisa in York. I think they were coming for a better life, like lots of people of his generation. They left everything behind and came to an unfamiliar country to make a new life for themselves. They were very keen that their children would grow up to have a better future and a better lifestyle than they did and they thought Britain was a great place to come – a real open country where they could make the best of themselves. They worked very long hours. They made huge sacrifices for us and they are a great inspiration to me. My upbringing and childhood were heavily influenced by the life that I lived in our takeaway shop and actually working in it all the time. The shop was five minutes from the Minster in the centre of York, and we served a largely working-class community. A lot of the people who came into the shop were people from local council housing estates, passing trade and also from the two pubs that were opposite the shop. I’d meet a whole range of people from all walks of life and society, but they did tend to be White British rather than Chinese. Most of my childhood was spent working in the shop, from about seven or eight years old, and it gave me the experience of talking to people of all social backgrounds. Alan Mak worked in the family takeaway. 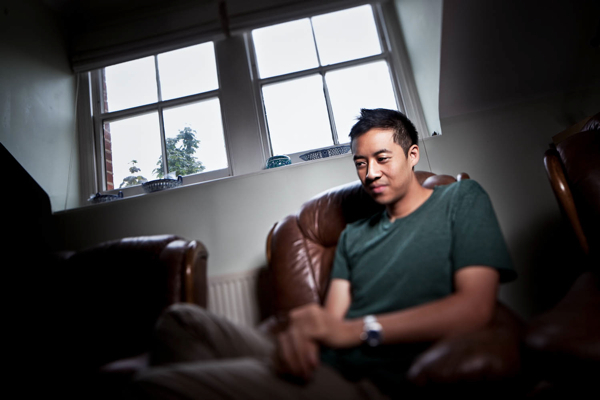 “I’m a music producer and I’m British-born Chinese. My parents are from Hong Kong and they moved to the UK in the 1960s to find work. There wasn’t much hope in Hong Kong during that era because of the civil unrest. My uncle helped them out initially. He sent over my dad first and then my mother joined afterwards. Immediately after arriving, they worked in the food industry in Chinatown which then led on to separate private takeaways and businesses that were run by cousins and uncles. I was born in Hertford, then moved to Ely when I was three, and stayed there until I was eighteen, after which I moved to London. 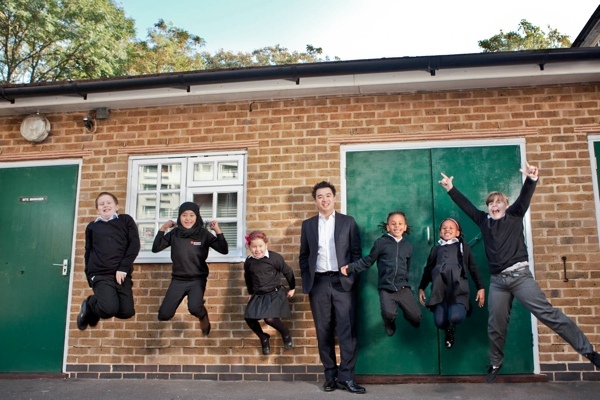 Growing up in Cambridgeshire wasn’t very multicultural, I was one of only a handful of Chinese people in the school. Whether I got treated differently or not is hard for me to say. Sometimes, I felt maybe you get teased a little bit or people may come across differently to you because you are Chinese, or some people haven’t experienced being around Chinese people – or even any other races – before. It’s a subtle thing. You can sense that when you’re a child, but you try and not let it affect you in the way you are. 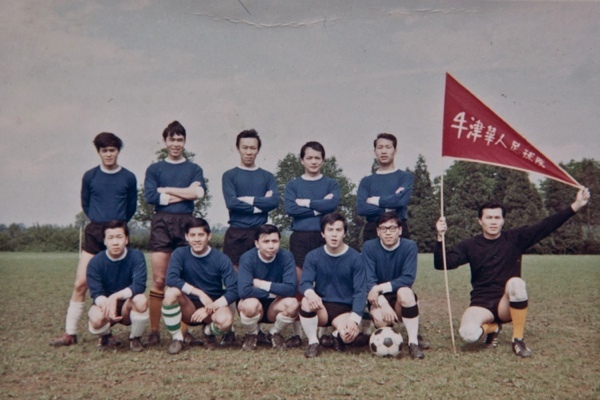 Eric Lau’s father and the football team he played for in Hong Kong. Since my parents came from Hong Kong, they’ve been in survival mode since day one. That’s all they know – family first, make money, save money – anything else is secondary, so for me to do something like music, it’s not a career path that my parents would even comprehend how to make a living from. So it was understandably very difficult for them to get a grasp of, because no-one close to us had done that before. Between East and West: The British Chinese is at SW1 Gallery from 6th until 16th November. Tuesday – Friday 12-6pm, and Saturday 12-4pm. that was lovely thanks! from a half-chinese girl who spent alot of her life also working in the family take-away. 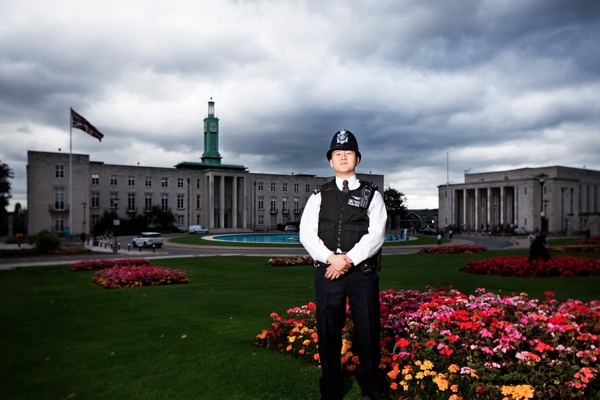 It is, of course Walthamstow (Now Waltham Forest’s) Town Hall .. a massive, specatcular piece of late Art Deco, now inhabited by pygmies & crooks. A really great read. As a British-born Indian, I find this particularly interesting. Thank you! A wonderfully rich portrayal of Chinese life in Britain. I wonder if you are aware of some of the early 20th Century depictions in what was a very xenophobic press? Having waged war on China twice in the 19thC over the Empire’s refusal to trade with Britain for opium, Britain then set about blaming the Chinese for its supply and use. A number of interesting moral panics ensued when ‘vulnerable’ white women used drugs and had inter race relations. Rather than embrace multiculturalism, paternalistic Edwardian society took a very negative view and whipped up xenophobic rhetoric in the newspapers. Many of these storie can be found on the Museum of Drugs website, which aims to expose myth and moral panic, much of which continues to echo in today’s attitudes, sadly. My Grandmother, born in the mid 1890s, was born and lived in Stepney until she married in St. Dunstan’s in the mid 1920s. She remembered Chinatown in Limehouse and told stories of playing mahjong there. She was quite a wild child, spoilt and adored by her father, so got away with quite a lot. All her life she considered Limehouse to be the true London Chinatown. this is fascinating thank you. my understanding is that the first chinese arrived in america in the nineteenth century, with the next big wave arriving in 1849 for the california gold rush. there’s a long and interesting history, including chinatowns of bachelors only, which is touched upon in the wiki. this live journal community frequently publishes reviews of books, mostly fiction, by asian americans, and is a good sampler of the ranges of issues now being explored — including pan-asian-american solidarity — in contemporary asian-american literature. Thank you so much for this. 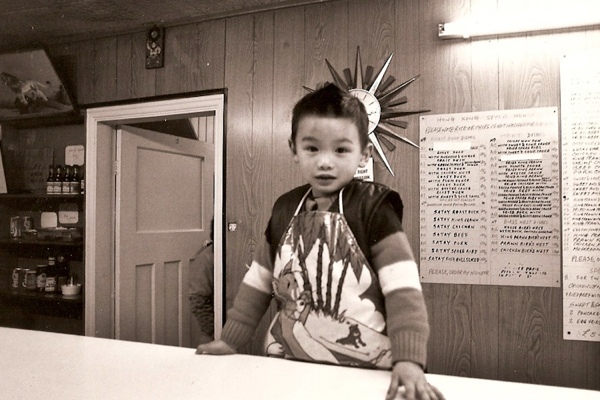 Fascinating glimpse into the Chinese in London – a group which is most often overlooked. Really interesting, love hearing about people’s migration experiences, thanks Mike. It’s nice too what one person said about Britain seeming like a place that could offer a better life. Britain forgets to do its own PR sometimes, in the sense of it’s really generally not too shabby a place to live in global terms, and remembering the things that are good that we have here.